Have you been watching the Soul Sessions Series? We’ve been talking about the different emotions of grief that we might experience and this week is all about GUILT! What it is. How it affects us and some coping skills to support us through this! 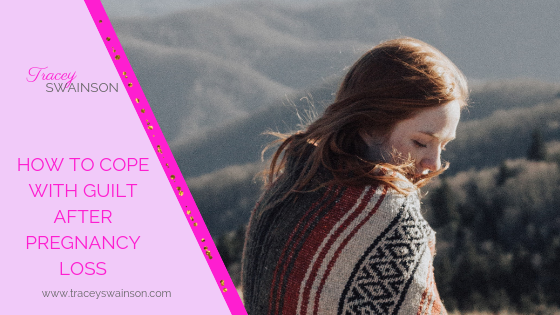 Now we all experience guilt throughout our lives from childhood and beyond, but this week we’re talking about how we allow guilt to express its nasty negativity at a time in our life when we’re feeling so vulnerable! Guilt can mess with our mind and make us believe things about ourselves that simply aren’t true. It creates a space of self-blame or repressed anger, that we put on ourselves rather than expressing it verbally toward someone else. It eats away on our nerves and effects us mentally, emotionally and spiritually. I found this quote by Louise Hay and it really made me think! “Guilt is a totally useless emotion. It never makes anyone feel better, nor does it change a situation”. Louise Hay – You Can Heal Your Life. Guilt is a useless emotion that we use to punish ourselves rather than show compassion and forgiveness to the part of us that is in pain! When we experience Guilt, we feel as though we’ve done something wrong and the questions of WHAT IF? WHY ME? WHAT DID I DO WRONG? IF ONLY? AM I NOT GOOD ENOUGH? Each of these begin to play a big role in our thought process! What if? What if I had been healthier? What if I had taken better care of my body? Why me? I wanted that baby so badly. Why can some women have babies so easily? What did I do wrong? I thought I was doing everything right, how could this have happened? How could I have prevented this? I’ve asked these questions myself and I’ll bet you have too! These questions often lead to self-blame, self-judgement and low self-esteem. The thing about guilt is that it doesn’t just go away, yet there are steps that you can take to support yourself no matter where you are in your healing journey. The first thing you can do is Recognize your Feelings. If there is something that needs changing in your life, now is the time to create an awareness of that. Then, whether there’s any truth to your feelings or not, Name It. By not naming our feelings, whatever they are, we’re unable to come to terms with our loss and emotions. Too often, our feelings of grief are buried deep in our psyche and we never get any real closure. Recognize whose voice you’re listening to. Are you listening to the voice of truth? Or the voice of lies? The voice of your heart will always leave you feeling a sense of peace. The voice of guilt will leave you feeling constricted, fearful and feeling small. I leave you with this… Choose the one that will raise your vibration to one of peace. This is a big one and its highly unlikely that you did anything wrong and certainly NO ONE blames you! Forgiveness is for you and you alone. By forgiving yourself, you begin to release the hold that the feeling of guilt plays a part of in your life and allows a new feeling of peace to be created. I love to use affirmations with my healing work and here are some that I thought you might enjoy too! I now release all guilt, struggle and blame. I am full of love, compassion and peace for myself and my life. I allow myself to soften and relax. Come join our community of heart-centered women, where we come together here to support each other, share, connect and create new friendships through grief and healing.